Property Race Day – The number one event in the Irish property and property financing calendar while raising much needed funds for children’s charities. If you are interested in booking a table or making a donation towards our chosen charities, please do not hesitate to contact us. A great event - great racing - all for a great cause. THE PROPERTY RACE DAY IRELAND’s principal aim is to raise invaluable funds for some of Ireland’s most deserving children’s charities, whilst offering a chance to meet like-minded people within the sector. Now in its sixth year, it has become Ireland’s number one networking event for the property and property financing industries in Ireland. It is affiliated with the Property Race Day UK, which has quickly established itself as a key date in the UK property calendar, hosting over 800 property individuals in Ascot Racecourse each year. 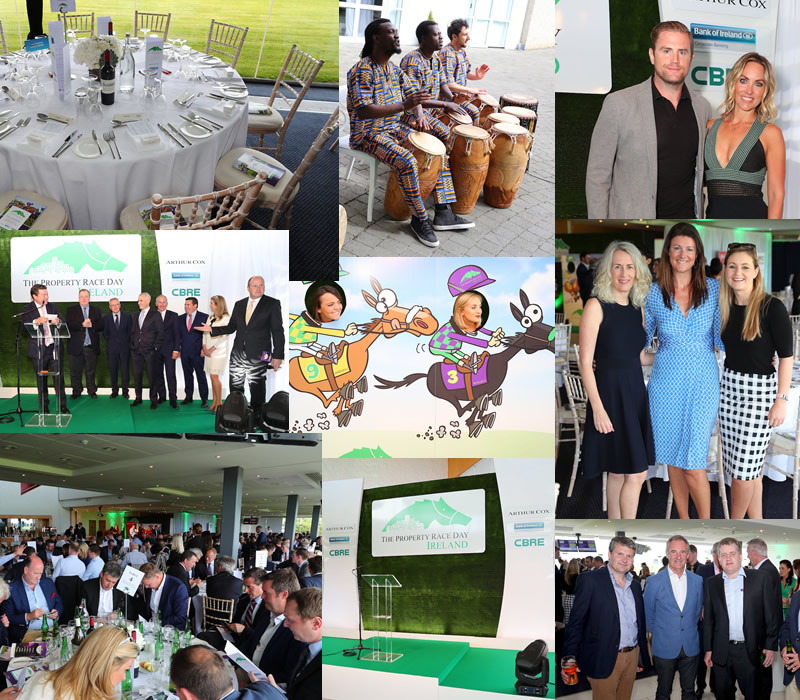 The fifth annual Property Race Day Ireland took place on Thursday, June 14th, 2018 at the Leopardstown Pavilion. The event saw the who’s who of the property industry gather together for an evening of racing, entertainment, networking, and not to mention digging deep for the ISPCC and To Children With Love. To read more, see our About page. Over €550,000 has been raised for worthy charities in the five years since the Property Race Day has launched thanks to the incredible generosity of our sponsors and partners. The fifth annual Property Race Day raised just over €140,000 for two of Ireland’s leading children’s charities: To Children With Love and the ISPCC. These inspiring charities provide love, protection and support to children and their families in Ireland and abroad. This year, the funds raised will support the ISPCC and Debra Ireland. Both providing invaluable support to children. 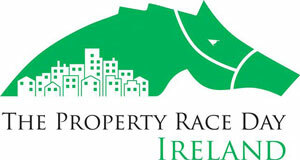 Property Race Day Ireland would like to thank all the sponsors for their kind contribution. There are many options available when travelling to Leopardstown Racecourse. We would like to thank all the sponsors for their kind contribution. See all the action and pictures from the Property Race Day Ireland 2018. If you are interested in booking a table or making a donation please click here for more information. 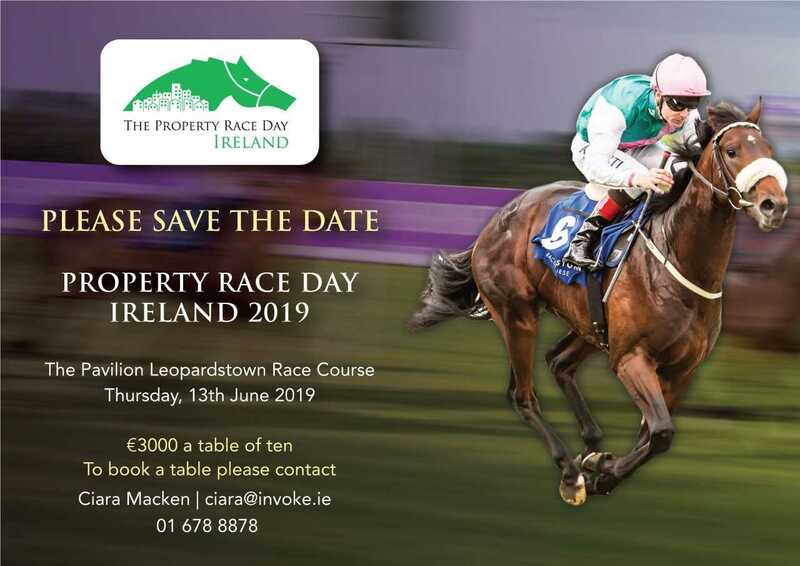 Property Race Day Ireland 2019 will be held in Dublin’s Pavilion, Leopardstown Racecourse on Thursday, 13th June 2019. The day will include a drinks & dinner, seven races, a charity auction, and live music.